Government officials are quietly installing sophisticated audio surveillance systems on public buses across the country to eavesdrop on passengers, according to documents obtained by The Daily. Plans to implement the technology are under way in cities from San Francisco to Hartford, Conn., and Eugene, Ore., to Columbus, Ohio. Linked to video cameras already in wide use, the microphones will offer a formidable new tool for security and law enforcement. With the new systems, experts say, transit officials can effectively send an invisible police officer to transcribe the individual conversations of every passenger riding on a public bus. But the deployment of the technology on buses raises urgent questions about the boundaries of legally protected privacy in public spaces, experts say, as transit officials — and perhaps law enforcement agencies given access to the systems — seem positioned to monitor audio communications without search warrants or court supervision. TriHealth, a company in Cincinnati, Ohio, recently fired 150 employees for failing to get a flu shot. The company offered all of its 10,800 employees free flu shots. Employees had one month to get stuck with the shot. The deadline was Nov. 16, and employees who did not get the shot were fired last Wednesday. To keep their jobs, they need a flu shot by Dec. 3. “The flu vaccine still is the best way to protect our employees and our patients against the flu,” spokesman Joe Kelley said. This fall, Mount Carmel Health System became the most-recent central Ohio hospital system to require employee flu vaccinations. By late January 2013, OhioHealth said it will begin to hold accountable any employees who disregard a similar mandate that it first told them about during the 2011-12 flu season. 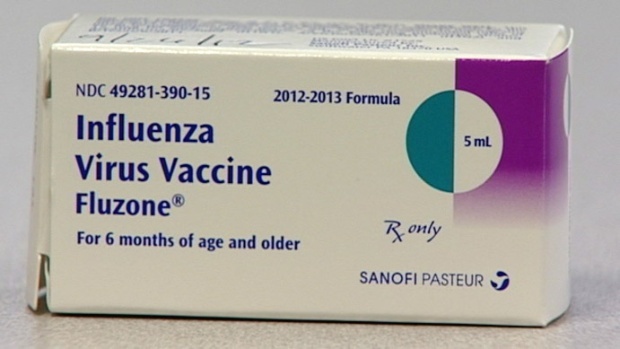 Ohio State University’s Wexner Medical Center and Nationwide Children’s Hospital began requiring employees to get the vaccine three years ago following the H1N1 flu scare. At Wexner Medical Center, those who refuse vaccines on religious or philosophical grounds are asked to fill out waivers. Hospital officials try to change their minds by pointing out the science behind the vaccine and the risks of not being vaccinated to them, to patients and to their families.“It’s very touchy, and you walk a thin line between being discriminatory and doing what’s right from a medical standpoint,” Kirk said. Penalties for noncompliance vary among hospitals. Children’s employees found to be noncompliant might receive cost-of-living pay increases but not merit-pay raises, Cunningham said. At Wexner Medical Center, employees who don’t receive the vaccine by Dec. 31 of each flu season will lose computer access.That leaves most workers unable to do their jobs, with the exception of some maintenance and custodial workers, Kirk said. “It’s gotten people’s attention.” Nobody has been terminated for noncompliance, he said. OhioHealth employees who forgo the shots are subject to the hospital system’s progressive disciplinary system, though it’s not a firing offense if it is the first blemish on an employee’s record, OhioHealth officials said. After Dec. 31, Mount Carmel employees won’t be able to work until they’ve complied with the new vaccination policy, spokesman Jason Koma said. In Missouri, a Mercy Hospital employee is facing disciplinary action after refusing to get a flu shot. The hospital adopted a mandatory flu shot policy this year. The policy states that employees can forgo the shot for a few specific reasons, including religious. The employee refusing to take the flu shot said she is a Christian. “My religious reasons request was denied,” she said. A Senate proposal touted as protecting Americans’ e-mail privacy has been quietly rewritten, giving government agencies more surveillance power than they possess under current law. CNET has learned that Patrick Leahy, the influential Democratic chairman of the Senate Judiciary committee, has dramatically reshaped his legislation in response to law enforcement concerns. A vote on his bill, which now authorizes warrantless access to Americans’ e-mail, is scheduled for next week. Leahy had planned a vote on an earlier version of his bill, designed to update a pair of 1980s-vintage surveillance laws, in late September. But after law enforcement groups including the National District Attorneys’ Association and the National Sheriffs’ Association organizations objected to the legislation and asked him to “reconsider acting” on it, Leahy pushed back the vote and reworked the bill as a package of amendments to be offered next Thursday. The package (PDF) is a substitute for H.R. 2471, which the House of Representatives already has approved. One person participating in Capitol Hill meetings on this topic told CNET that Justice Department officials have expressed their displeasure about Leahy’s original bill. The department is on record as opposing any such requirement: James Baker, the associate deputy attorney general, has publicly warned that requiring a warrant to obtain stored e-mail could have an “adverse impact” on criminal investigations. State lawmakers in Texas are fighting to reassert their citizens’ Fourth, Sixth, and Eighth Amendment rights. Republican legislators have submitted two bills, one to remove the indefinite detention provisions in the National Defense Authorization Act (NDAA), and the other to stop the intrusive screening procedures of the Transportation Security Administration (TSA). HB 149 specifically calls out Section 1021 and 1022 of the NDAA, which were recently subjects of a federal lawsuit filed by plaintiffs concerned that the language within the passages could be used to indefinitely detain U.S. citizens. The Bill & Melinda Gates Foundation today announced more than $21 million US in new grants through its Grand Challenges Explorations (GCE) initiative.GCE is a tiered granting mechanism that funds innovative ideas to tackle key global health and development problems, and provides additional resources for projects that demonstrate initial promise. Included in today’s announcement is the first group of grantees who were selected, in partnership with Cannes Lions , to identify new ways to communicate that foreign aid is working. Also new to this round are projects working to develop new anti-malarial drugs thanks to unprecedented access to 400 compounds in the “Malaria Box”. Noor Sabah Rakhshani of the Trust for Vaccines and Immunization in Pakistan will develop children’s ankle bands that change color when children are due for their next vaccination. According to Natural News, Gates intends to do a surveillance operation across the Internet and locate anti-vaccine advocates. His minions will then undertake a counter-insurgency campaign to neutralize them. And that’s just the nice stuff. And it will go downhill and get nastier from there. In 2010, Bill Gates, co-chair and trustee of the Bill and Melinda Gates Foundation, gave a keynote address at the mHealth Summit, an annual gathering that focuses on improving health care through mobile technology. Gates told an audience of more than 2,000 that if we could register every worldwide birth on a cell phone, we could ensure that children receive the proper vaccines. Gates said computing technology has been great for health care, and there are plenty of opportunities to use the cell phone in clinic settings. But, Gates’ “death panel” comments were made at the Aspen Ideas Festival in Aspen Colorado implies that it is cost effective to allow certain sick people to die and to not spend any effort saving their lives. During a question and answer session, Gates implied that elderly patients undergoing expensive health care treatments should be killed and the money spent elsewhere. Gates said there was a “lack of willingness” to consider the question of choosing between “spending a million dollars on that last three months of life for that patient” or laying off ten teachers. “But that’s called the death panel and you’re not supposed to have that discussion,” added Gates. As part of a controversial trial that could someday include 112 schools and nearly 100,000 students, Northside Independent School District in San Antonio, Texas, recently issued students at two of its campuses new badges with an embedded RFID (radio-frequency identification) chip in order to track their locations. Unlike passive chips that transmit data only when scanned by a reader, these chips have batteries and broadcast a constant signal so they can track students’ exact locations on school property, down to where they’re sitting—whether it’s at a desk, in a counselor’s office, or on the toilet. The program went live on October 1 at John Jay High School and Anson Jones Middle School where students now must wear the new badges in a lanyard around their necks. Without the badge, a student can’t access the library and cafeteria, or buy tickets to extracurricular activities. The school district has threatened to suspend, fine or involuntarily transfer students who refuse to wear them. One reason the school district decided to try the tracking badges was to get state funding. “Because budgets are tied to average daily attendance, schools lose cash—as much as $175,000 a day—if students aren’t in their seats when homerooms do roll call in the morning. However, if the student is on campus, they’re technically present,” states the website ChipFreeSchools.com. Yet people continue to voice privacy and legal concerns. In August, several privacy advocacy groups put out a position paper (PDF) which argues that RFID tracking in schools violates students’ rights to free speech and association because the technology tracks not only an individual’s location, but it can monitor which people congregate together. The paper also maintains that mandating that students wear RFID chips conditions them to accept a Big Brother world. Brushing aside privacy concerns by parents and civil rights activists, a Texas school district has gone live with a controversial program requiring all students to wear a locator radio chip that will enable officials to track their every move – or face expulsion. At the beginning of the school year students at John Jay High School and Anson Jones Middle School within the Northside Independent School District were told their old student ID badges were no longer valid. During registration they were required to obtain new badges containing a radio frequency identification tracker chip. Students refusing the chips were reportedly threatened with suspension, fines, or being involuntary transferred. Unlike chips used by retailers to track inventory which activate when scanned by a reader, these chips contain batteries and actively broadcast a continuous signal. The Hernandez Family is spearheading the fight against RFID Tags, and Andrea Hernandez has taken her stand on the school grounds, refusing this indoctrination, by not wearing “the mark” Which also makes her marked. Andrea was gathering signatures on a petition for a moratorium on the RFID Tags after school, and was harassed by NISD lackeys to hand over the documents claiming she could not do so on school grounds, and forced her to leave the property or face arrest by the schools’ Black Boots, also frothing around her. Back in this writer’s day, we had student councils, we liked to fight issues at school, and it is our right to petition the school with grievances! Apparently that’s not the case anymore according to Andrea, now it seem’s the school keeps their cattle in line from the top down by putting pressure on people with academical threats, and persuasion through incentives. Andrea was even told by the Superintendent, that her failure to participate in the pilot program might get her transferred to another school, kicked out, fined or other forms of removal. On one account, she spoke of her being given the option to wear the old/new plastic bar code if she would come out in favor of the new RFID system and that they would “give her back her rights”, seeing the hypocrisy of the suggestion, and the insult to her humanity, she declined. What are they teaching your kids with that methodology? Think of the dog training method. They can’t buy or check out books, can’t buy tickets to events without it!? Teachers giving candy, to high school students for wearing the tracker, and scolding them by not giving candy to those that don’t wear it! How likely will that generation, or the next, when adults, be willing to take RFID in the body so they won’t forget it for work, or a license, bank account, and all the like that have been put out as reasons to get a CHIP implanted? Planned Parenthood founder, Margaret Sanger, was a member in good standing with the racist American Eugenics Society. Sanger had boards members who were known for their racist writing and Sanger published many of those in her publications. Sanger called for parents to have a QUOTE: LICENSE TO BREED controlled by people who believed in her eugenic philosophy. She wanted all would be parents to go before her eugenic boards to request a “PERMIT TO BREED“. So much for Choice , huh?